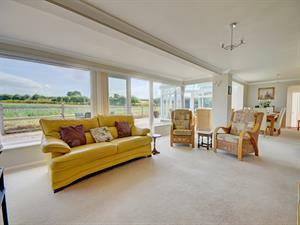 Tormead Lodge01263 715779work01603 870304fax Self-cateringTormead Lodge in the popular coastal village of Thornham is a spacious well-equipped four bedroom property with open plan living area and fantastic field views to the back. • Other: Towels, Travel cot, Stairgate, Hairdryer, Books and games provided. • Outdoors: Fully enclosed garden, Patio, Lawned area, Garden furniture, Sunloungers, Garden games, Barbecue. Tormead Lodge in the popular coastal village of Thornham is a spacious well-equipped four bedroom property with open plan living area and fantastic field views to the back.